Stradis HDM500ex HD decoder delivers broadcast quality for your High-Definition professional video applications. The hardware-based decoder decodes MP@HL 4:2:0 at bitrates up to 80 Mbps and supports a wide range of formats. As all Stradis decoder cards, it provides continuous, frame-accurate and seamless back-to-back playback of MPEG-2 streams. Stradis HDM500ex features HD-SDI (SMPTE292M), DVI and analog YPbPr outputs for maximum flexibility. On the audio side, it decodes up to 12 embedded audio channels over SDI in addition to outputting AES3 digital audio and unbalanced analog audio. 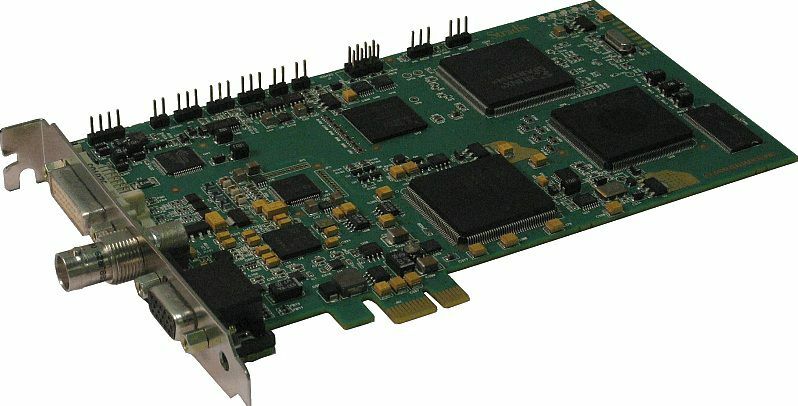 A SDK/API developer kit allows one or several Stradis HDM500ex decoder cards to be integrated and controlled into a video system quickly and easily. It provides a full control of the features and supports synchronized playback across all cards. SDK/API compatibility is ensured across the complete Stradis product range allowing a seamless upgrade to a different decoder. Through a machine control interface (RS-422), the Stradis SDM500ex can be configured as either a controller or a device.